On 26 and 27 November, the EHF took part in the European Commission’s Annual Colloquium on Fundamental Rights that focused this year on « Democracy in the EU ». With various civil society organisations and representatives from European institutions, we brainstormed about an issue that is of huge concern for all democrats: how to preserve democratic fundamentals in Europe and guarantee the fair and smooth running of European elections in May 2019. Member States alone will not be able to face the spread of fake news. The question is therefore not to have less or more Europe, but how Europe can do better to protect its citizens against the rise of authoritarianism and online manipulation. Frans Timmermans, First Vice President of the European Commission, opened the session by highlighting EU fundamentals that are currently under threat: democracy, rule of law and fundamental rights. He rightly reminded the participants that democratic tools are being used to curtail people’s rights and especially the rights of minorities; as Hungary or Poland have been doing for several years now. Gianni Buquicchio, President of the Venice Commission of the Council of Europe, underlined the need to fight corruption and to protect the independence of the judiciary which is the main arbitrator in our democracies… and often one of the first under attack by authoritarian legislations, together with the media. Several participants completed the analysis by mentioning the threat posed by the use of “direct democracy” tools such as public consultations and referenda to impose the rule of the majority and circumvent real debate led by independent media. The discussion then followed on the current threats that shrink the space for civil society organisations in Europe. Michael O’ Flaherty, Director of the EU Agency for Fundamental Rights, mentioned the health check the FRA has been doing on this issue for the last two years and lined up several proposals : he first called decision-makers across Europe to legislate with care and to take into account the potential burdensome consequences that legislation can have on civil society organsiations. He called on strengthened Member States’ action to prosecute hate crime targeting civil society actors, providing that State authorities can be trusted in their protective role. He finally requested to develop a safe space and funding for civil society organisations across Europe, a call that was joined by several participants who also underlined the role of academics and universities in civil society. 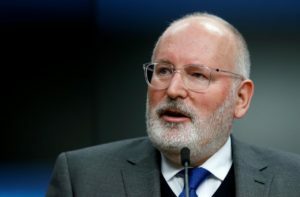 Frans Timmermans finally argued that a strong civil society may be one of the best guarantees against rising authoritarianism and took the role of the Polish civil society as an example to follow in Europe. The discussions concluded on one of the main challenges in the mind of European decision-makers, i.e. how the EU can ensure the good running of the 2019 European elections. Many fear that Russian-backed campaigns — mostly through social media platforms — could boost support for far-right parties and therefore meddle with the European democratic process. 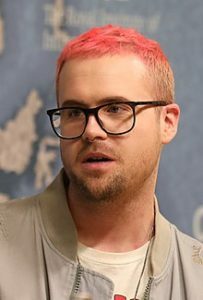 Christopher Wylie, Cambridge Analytica whistle-blower, took the floor to remind the participants that such risk cannot be excluded. In a strong statement, he claimed that social media are in fact re-segregating our societies with algorithms creating like-minded communities; a process that facilitates online disinformation. In this context, Věra Jourová, European Commissioner for Justice, Consumers and Gender Equality called for strengthened European action to fight fake news and electoral manipulations, in collaboration with the main tech platforms and described the main EU initiatives in this regard. She was joined in her pledge by Moez Chakchouk, UNESCO representative, who detailed their actions to train journalists and strengthen citizens’ critical thinking. All speakers agreed on the following key points: that Member States alone will not be able to face the spread of fake news and the challenges implied by the development of artificial intelligence. The question is therefore not to have less or more Europe, but how Europe can do better to protect its citizens against the rise of authoritarianism and online manipulation and enable them to make their decisions using critical-thinking as a tool to find, assess and confront a diversity of facts and opinions.